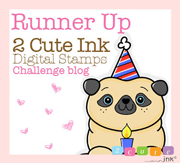 It is time for a new 2 Cute Ink Challenge! 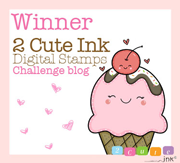 Let's check out the New Digital Stamps for March! You can ONLY get Bunny Love Digital Stamp if you JOIN THE CLUB! Let's check out the Design Teams Wonderful creations!